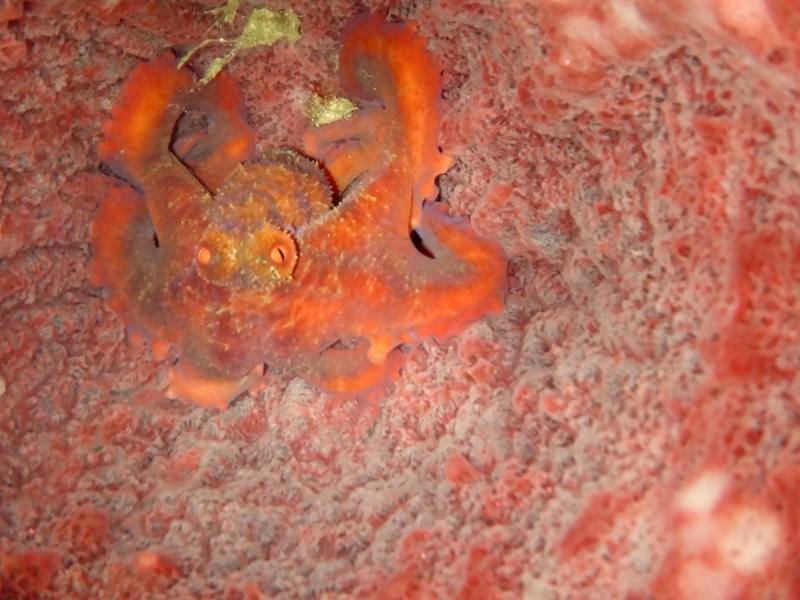 A camouflaged baby Octopus hiding in the bottom of a Barrel Sponge. 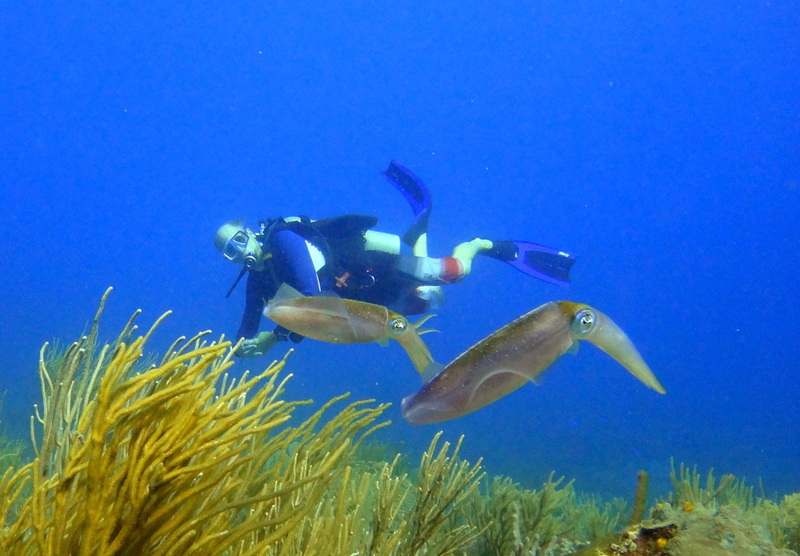 Bob Shaffer swims with a pair of Caribbean Squid. 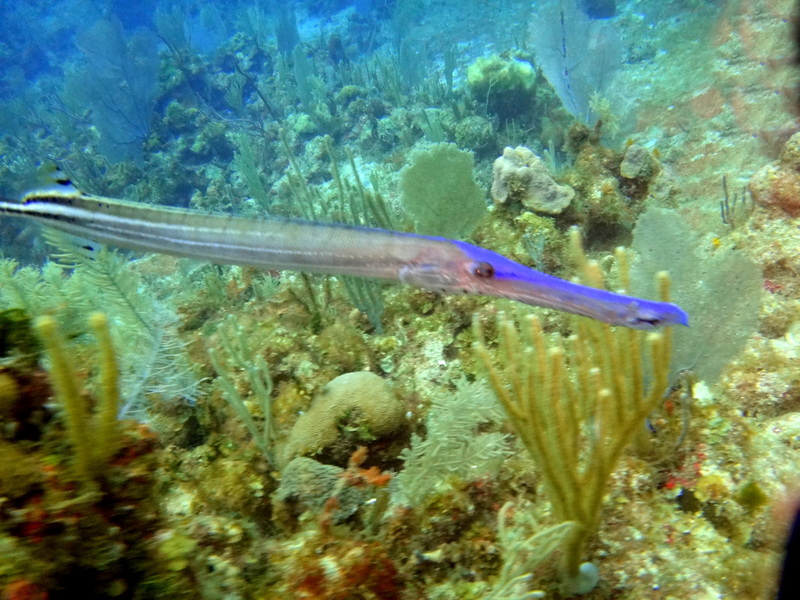 Here is a rare Blue Trumpetfish. 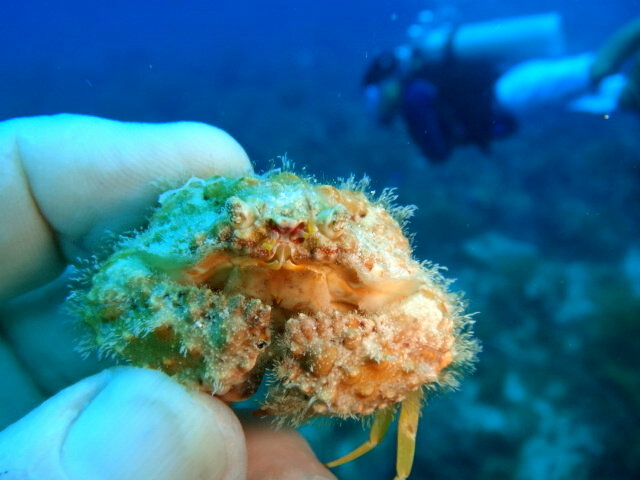 A blue-eyed Hermit Crab looking at you. 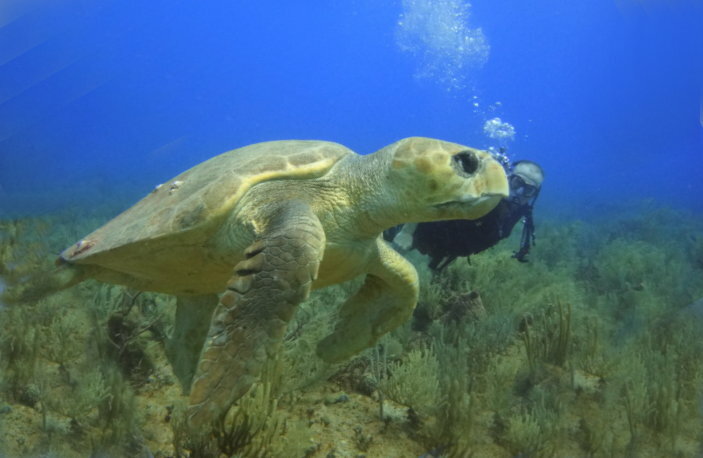 A large Loggerhead Turtle diving with Scott Calhoun. 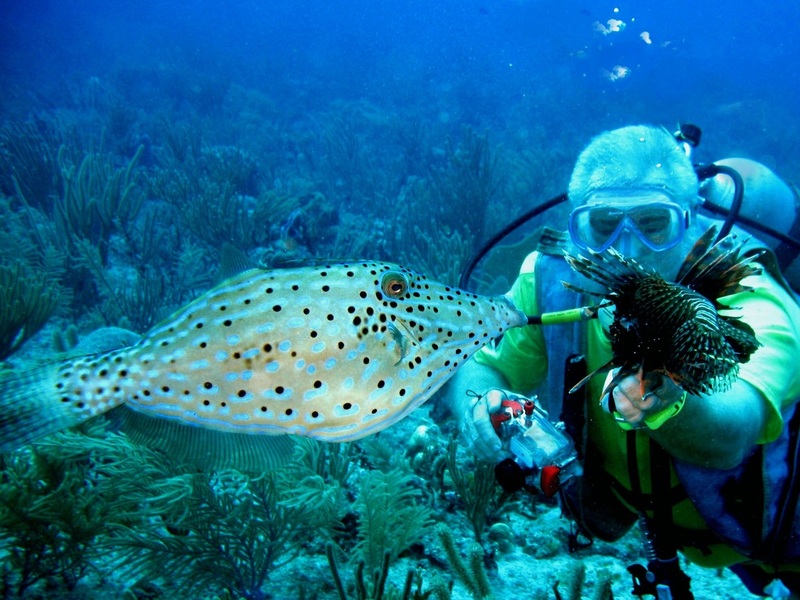 Glenda Gabriel admiring a Lionfish. 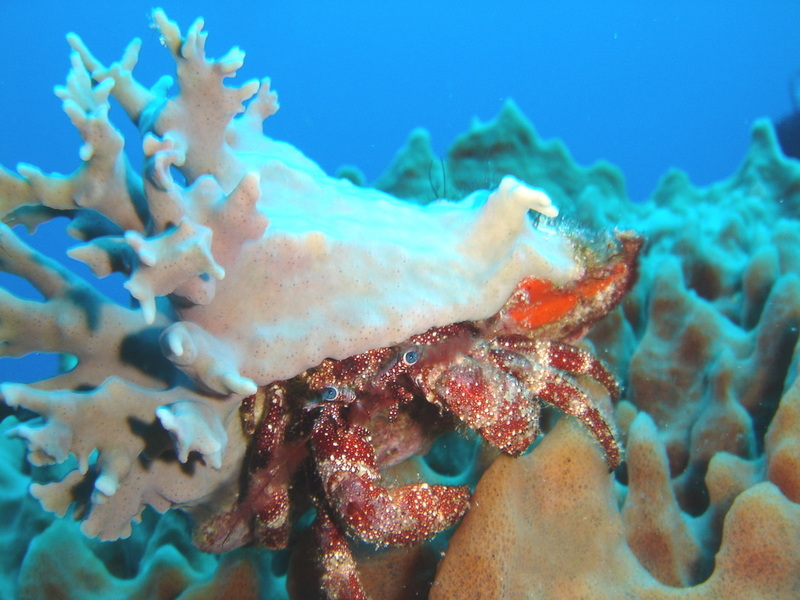 A Box Crab with all of his camouflage attached to the back of his shell. 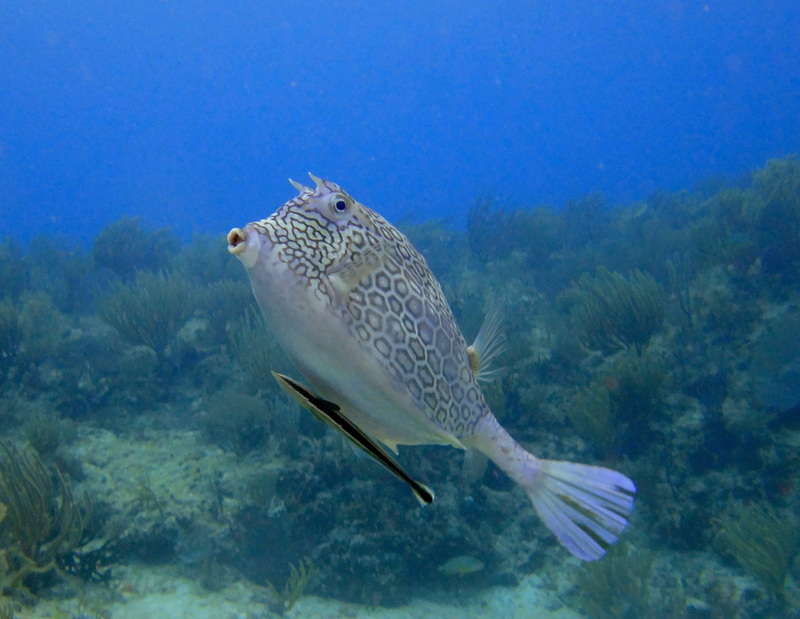 A Blue Scrawled Filefish who loves to accompany all the divers on their adventures. 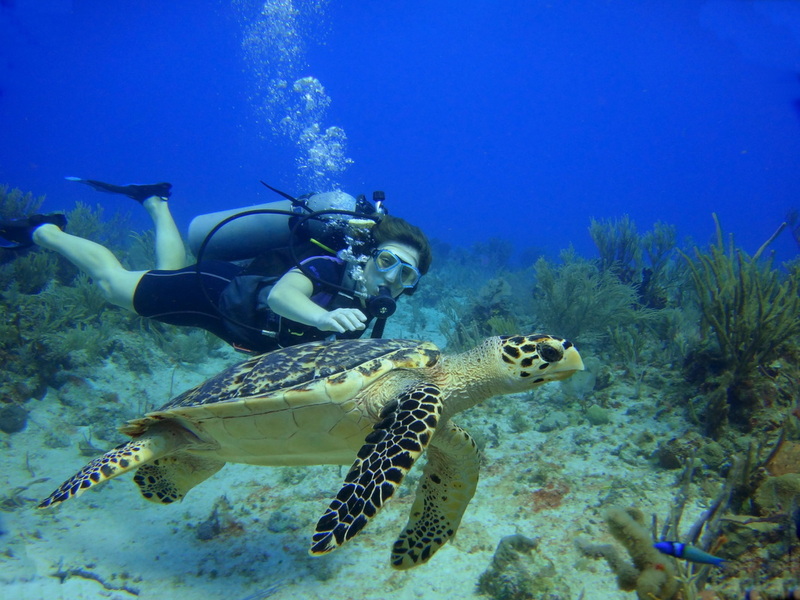 Diane Ens and Kyle Keays swimming with one of our "pet" hawksbill turtles. 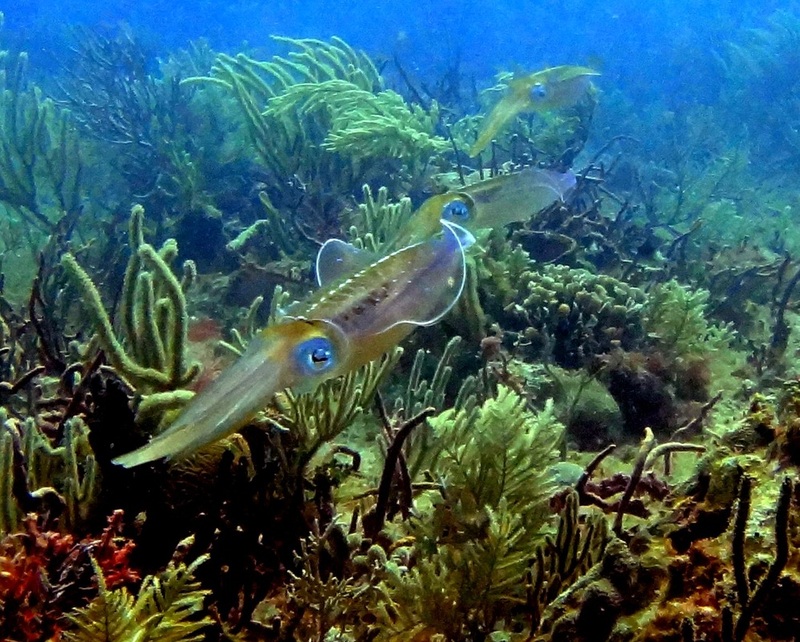 A trio of Caribbean Reef Squid. 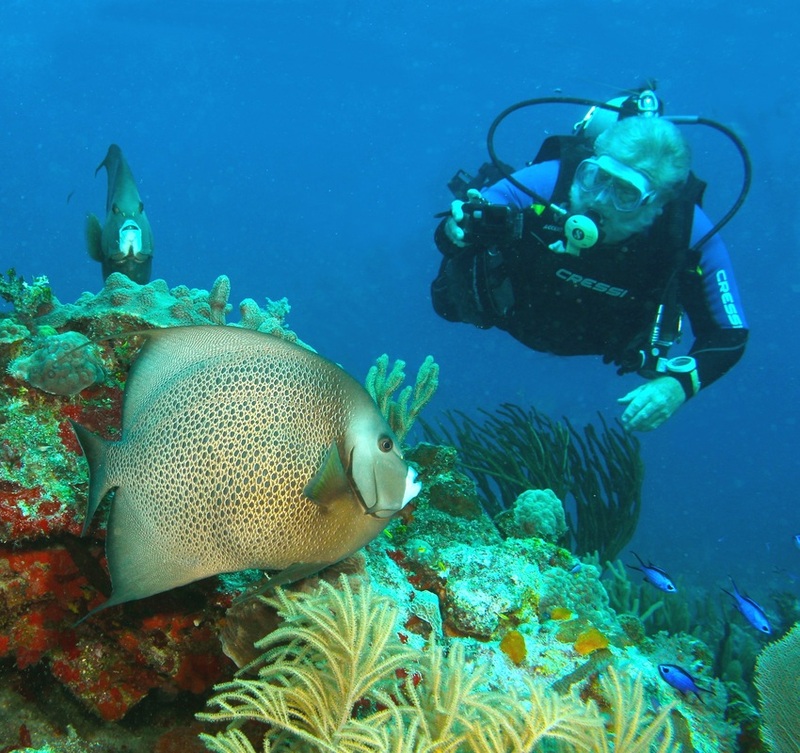 Kyle Keays videos the reef with his mask / camera / movie light set-up. 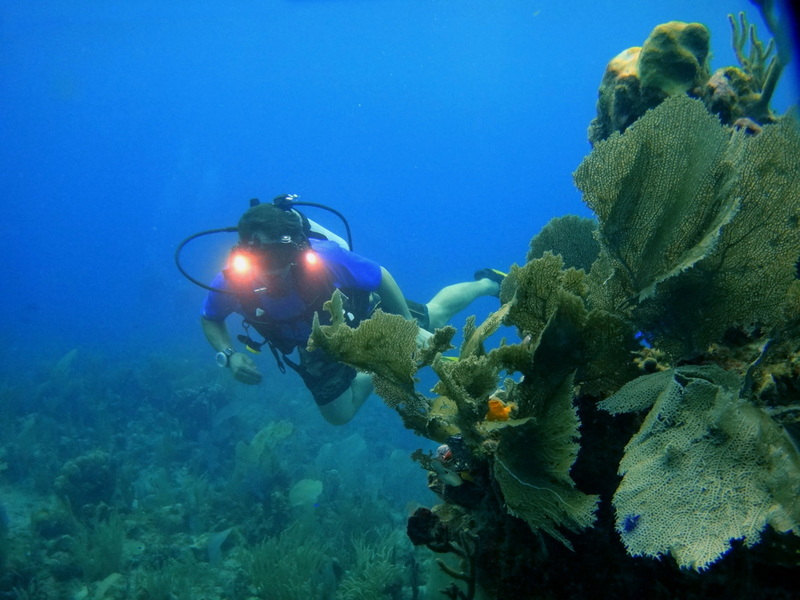 Alex Powers photographing the reef. 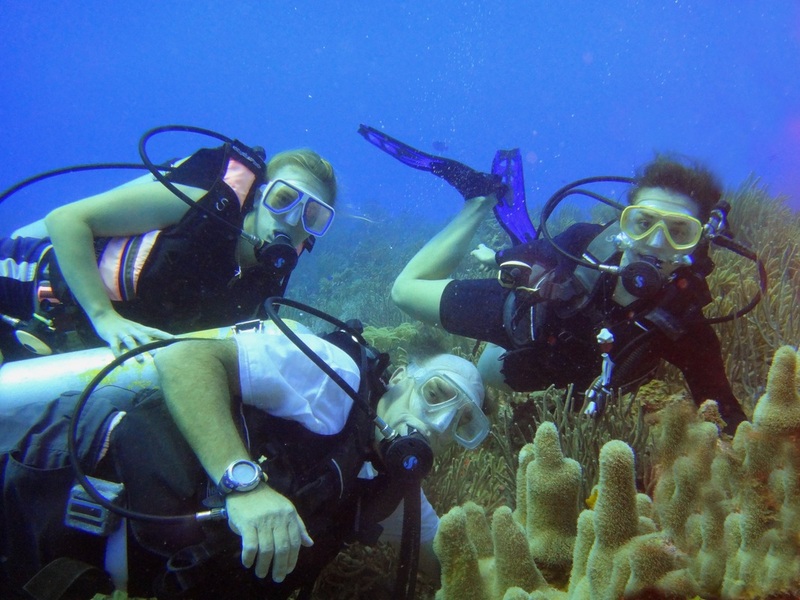 Gordy's Angels...Gordy Brenne and his daughters Phebe and Lara. 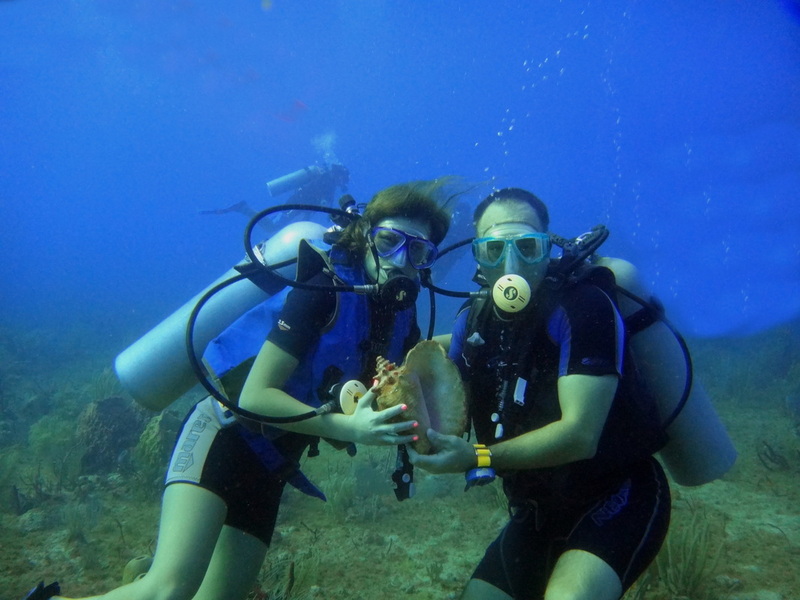 Kara and Rick Lackey admiring a Queen Conch. 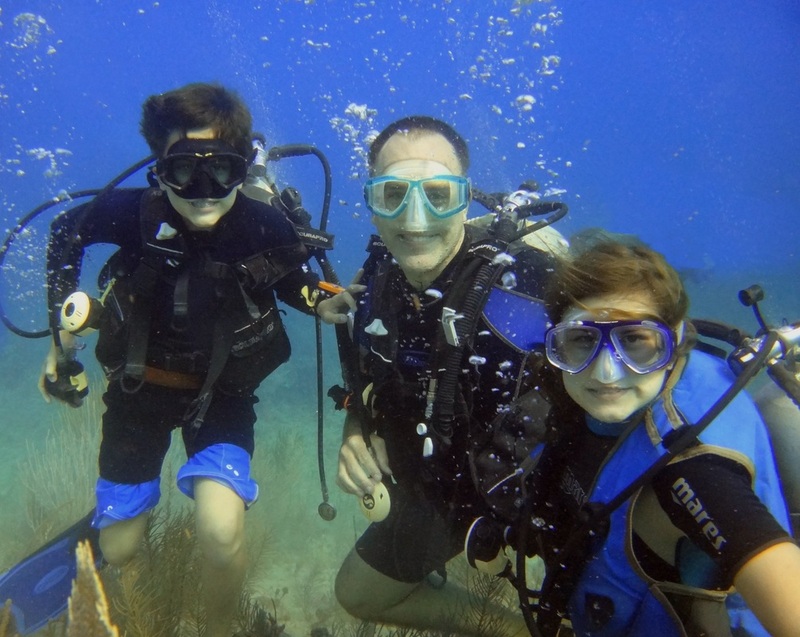 John, Rick and Kara Lackey pose for a fun family photo! 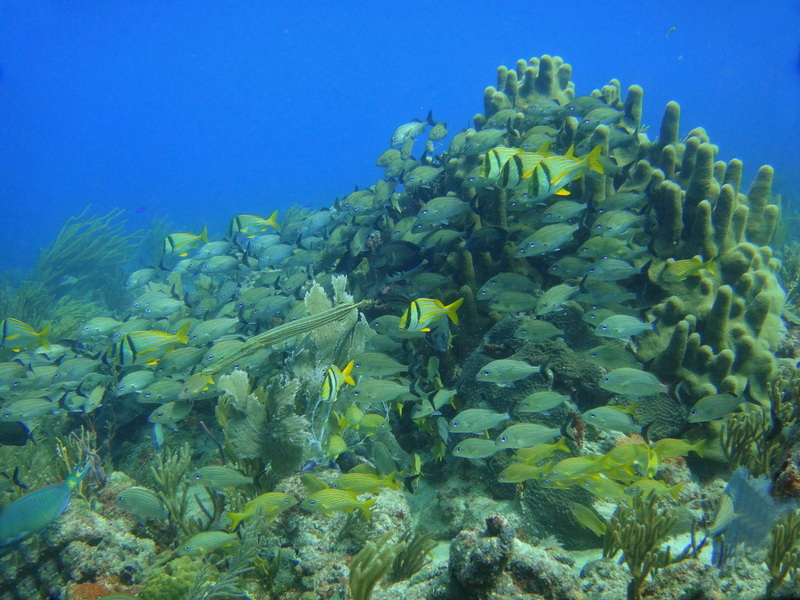 The "Christmas Tree" is always decorated with huge schools of fish. 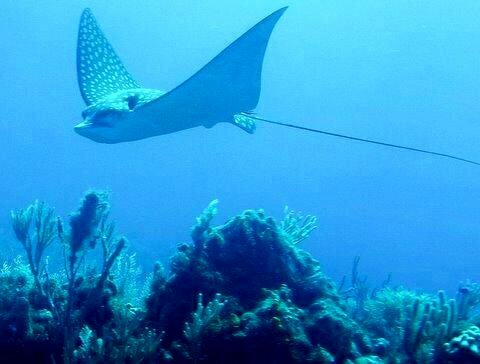 Danette and Scott Calhoun swimming with one of our "local" pets. 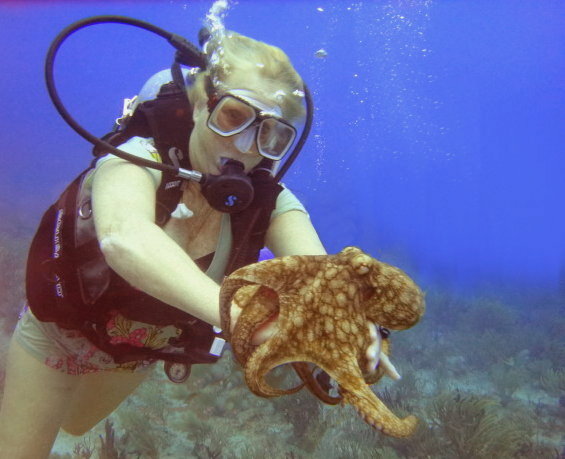 Julia White enjoys a little time with a friendly octopus. 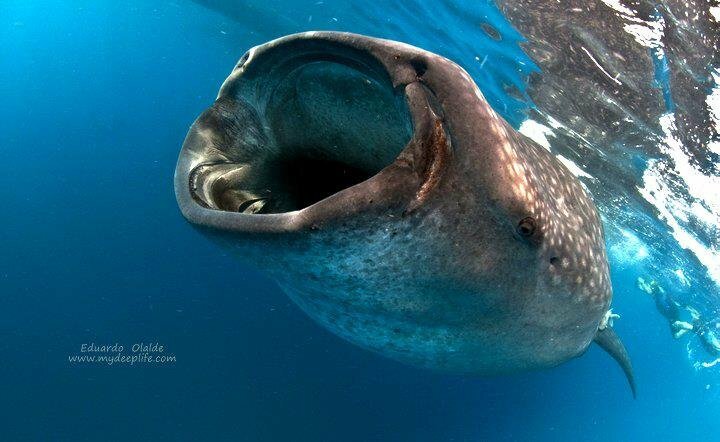 A Whale Shark feeding on microscopic plankton which looks like smoke at the surface. 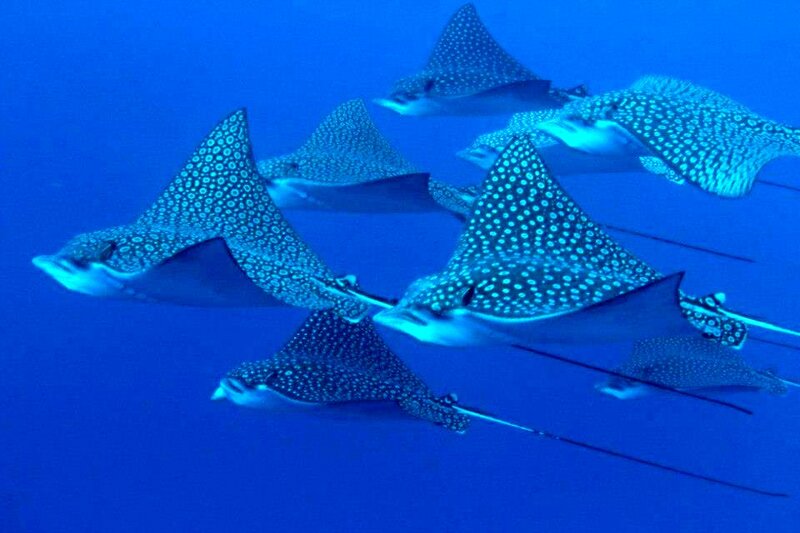 The summer months are when they move into our area. 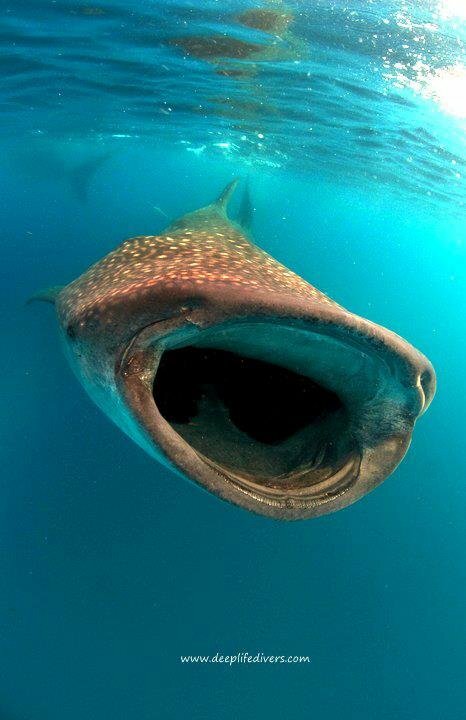 The giant mouth of a Whale Shark. 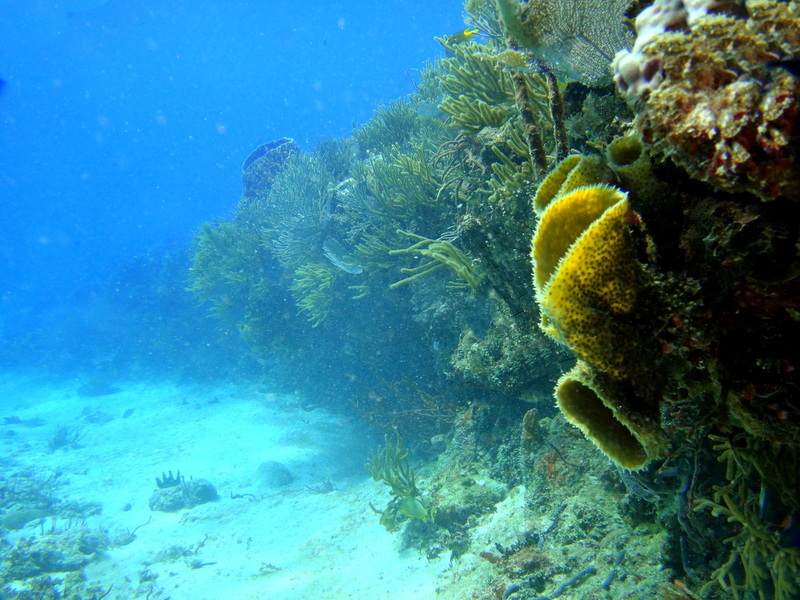 For perspective, notice the diver in the upper right corner. 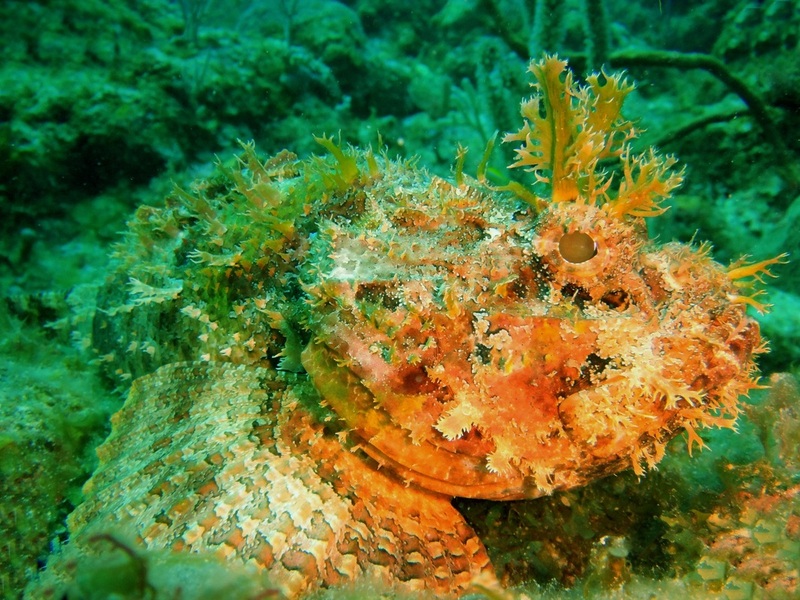 An example of one of our Scorpionfish and how well he disguises himself. 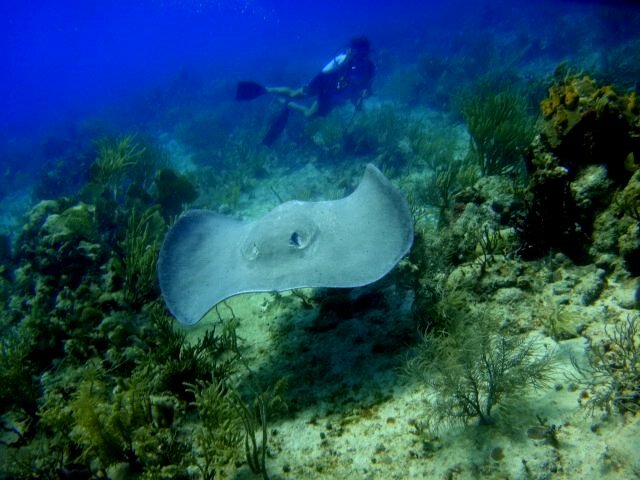 Casper our giant Ghost Ray. 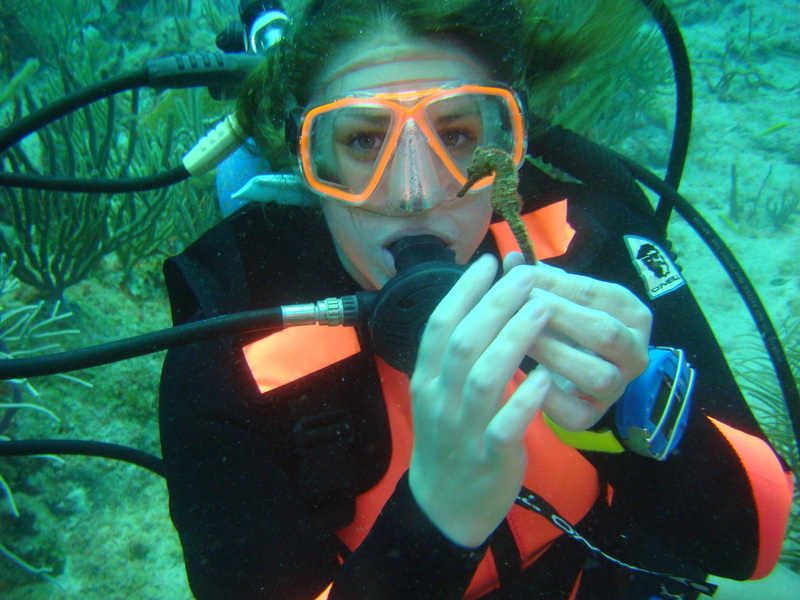 Talon Singletary and Megan Mills found a free-swimming Seahorse and were able to find it a new home. 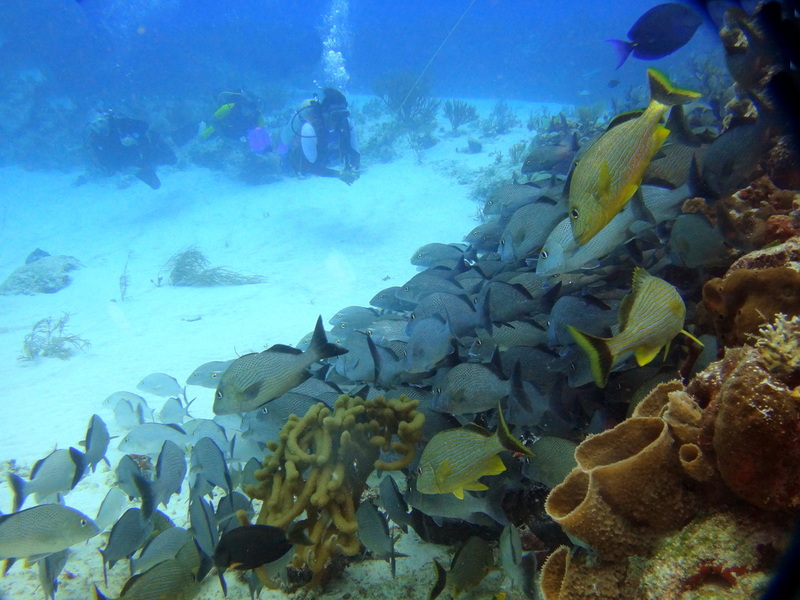 David Everett exploring the shallow reef with its thousands of resident reef fish at Calica. 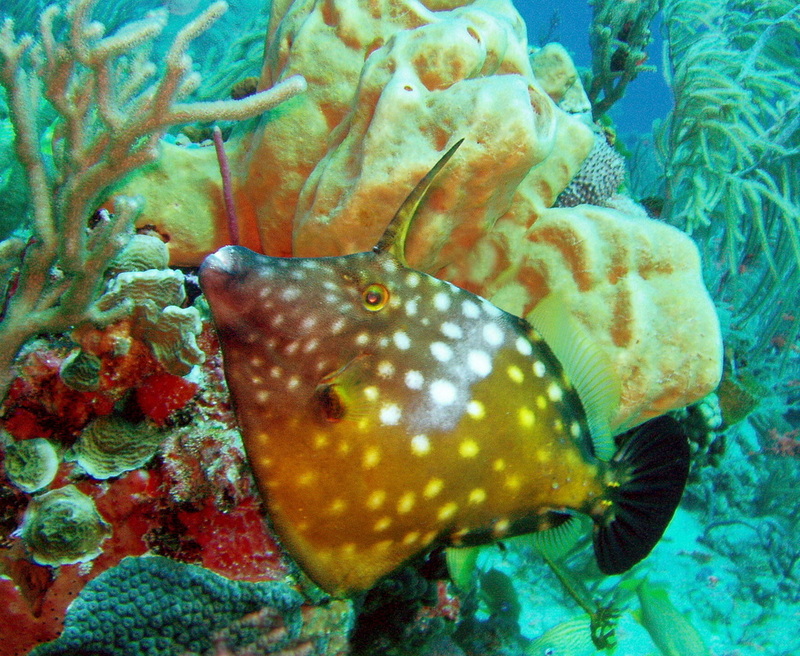 A Cowfish with her hitch-hiking Remora. 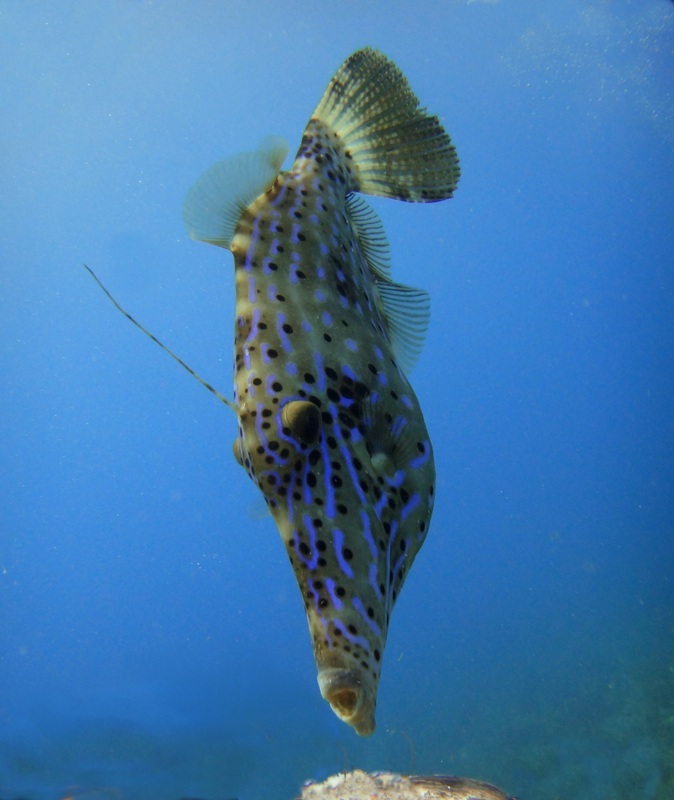 This is a Blue Scrawled Filefish who loves to tag along with our divers on almost every dive in Paamul. 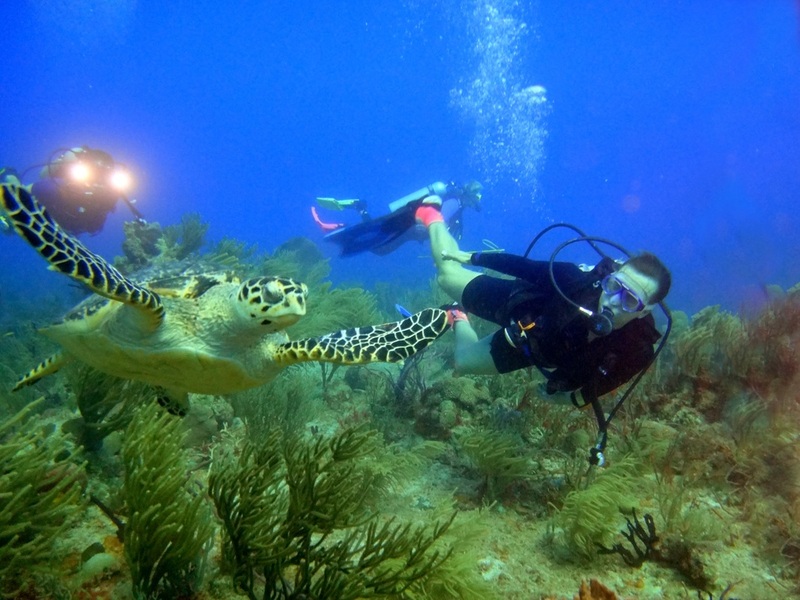 David Everett and a friendly Hawksbill turtle enjoying a swim down the reef. 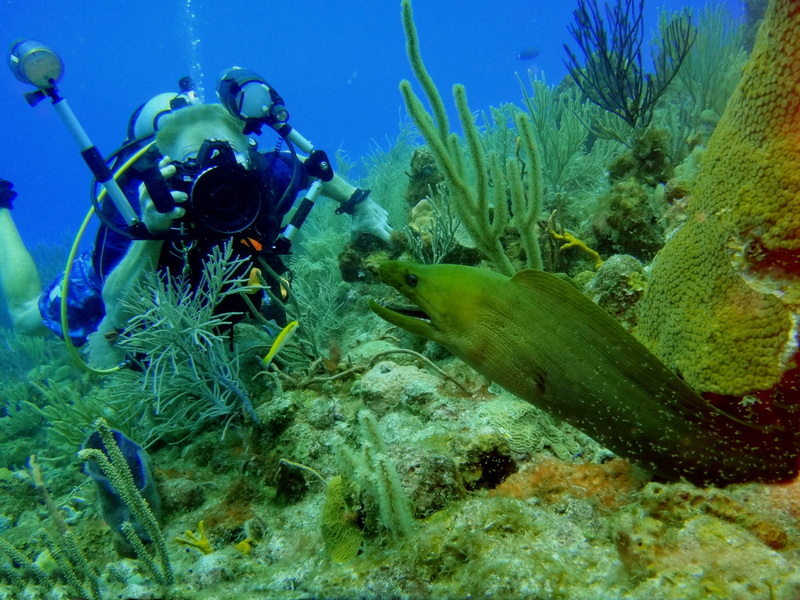 Cindy Ballard is CAREFULLY getting a close-up photo of one of our resident Green Moray eels. 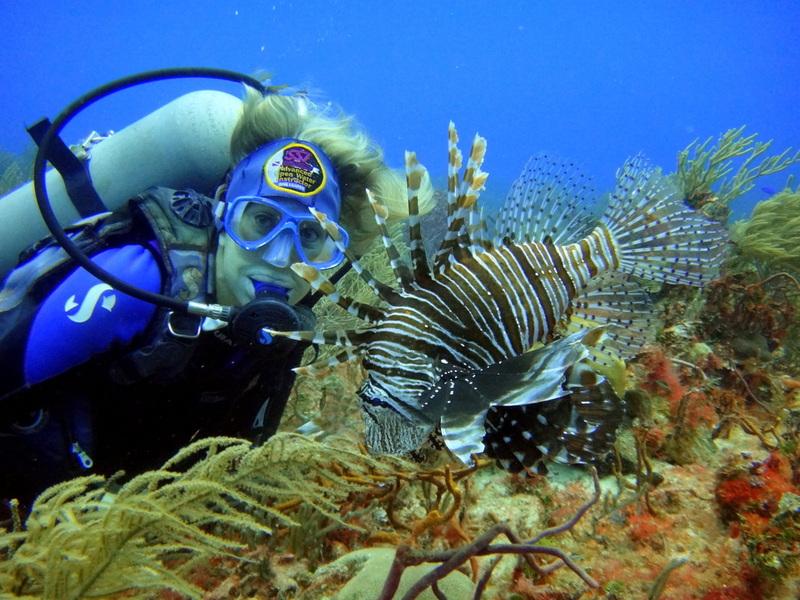 Larka Tetens executes a close up study of a Lionfish. 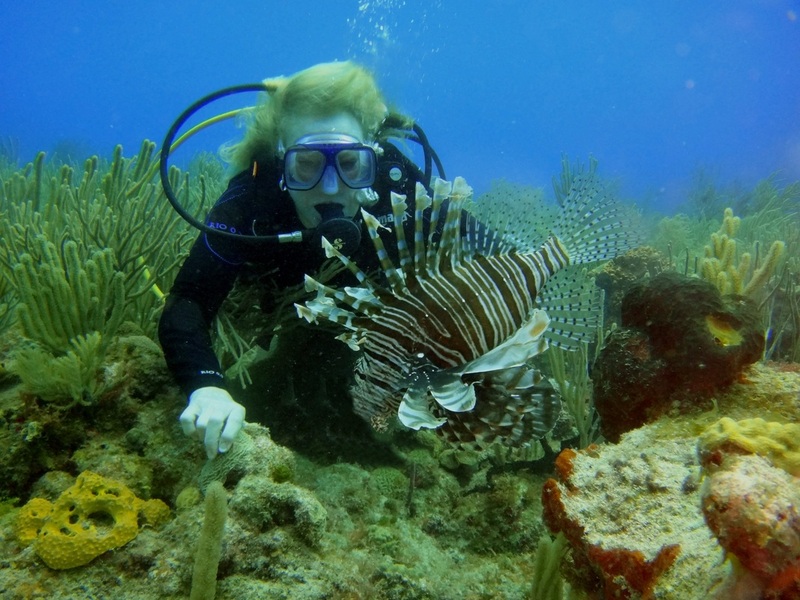 The Lionfish is an invasive species in the Caribbean and considered a threat to the reef system. 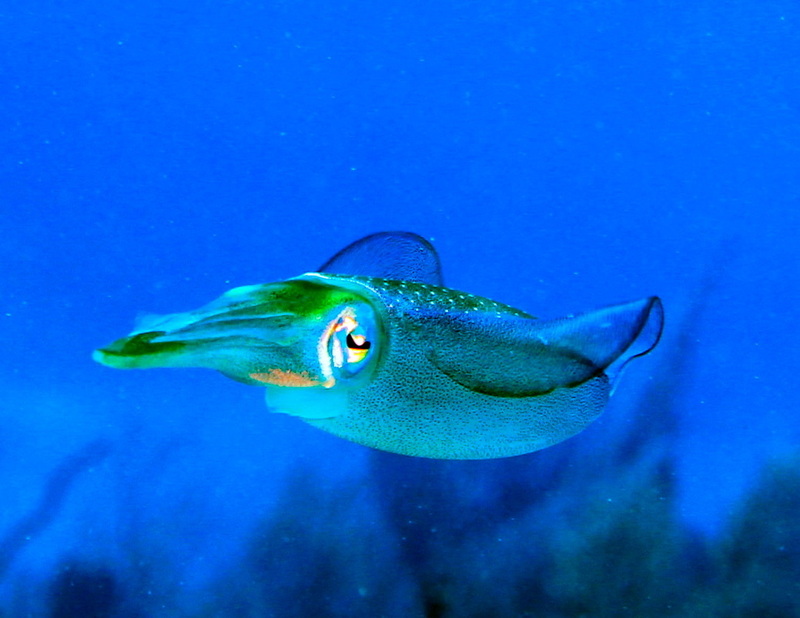 Danny Ballard photographs one of our reef residents. 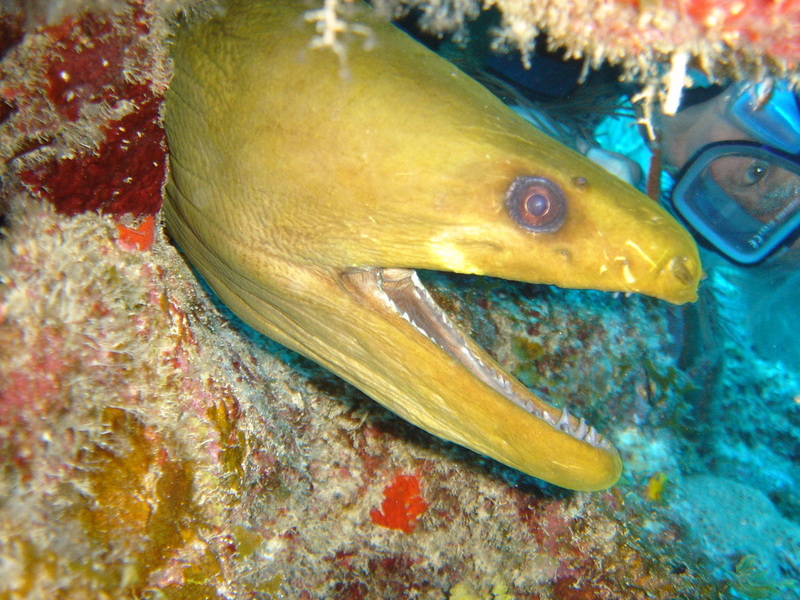 A large Green Moray Eel. 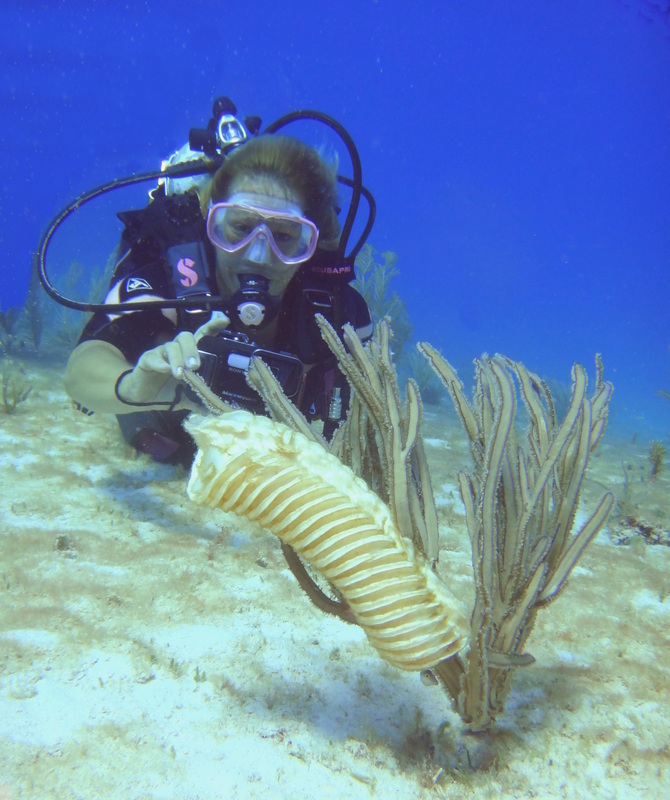 Marcelo Loria instructs students why there is a closed season on lobsters by showing the eggs(orange) on the bottom of this female lobster. 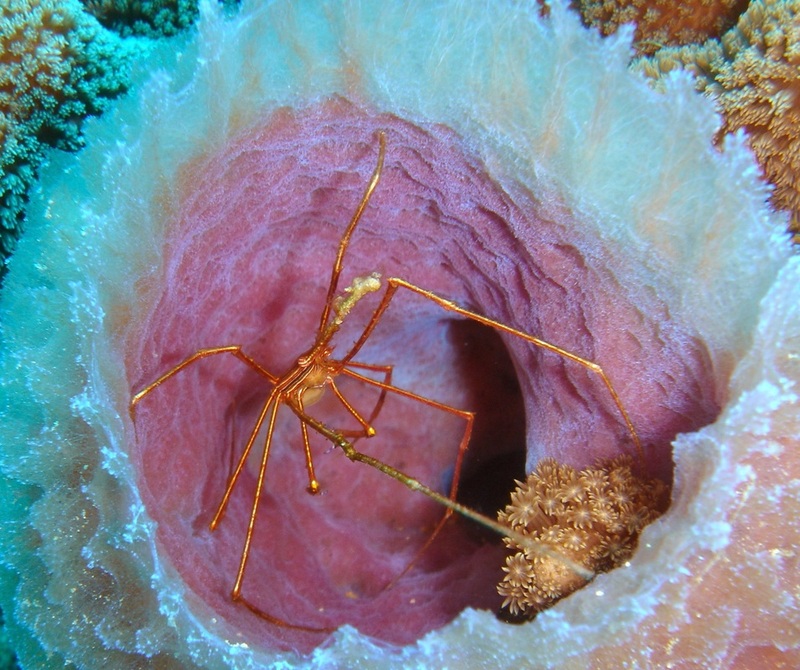 A beautiful and reclusive Bat-Winged crab. 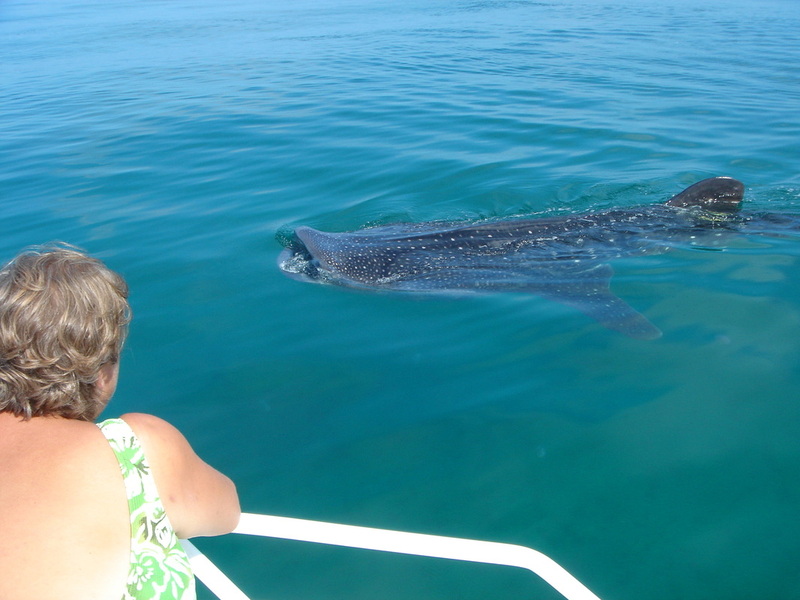 Debra Everett watches a Whale Shark feeding while he is migrating through our area. 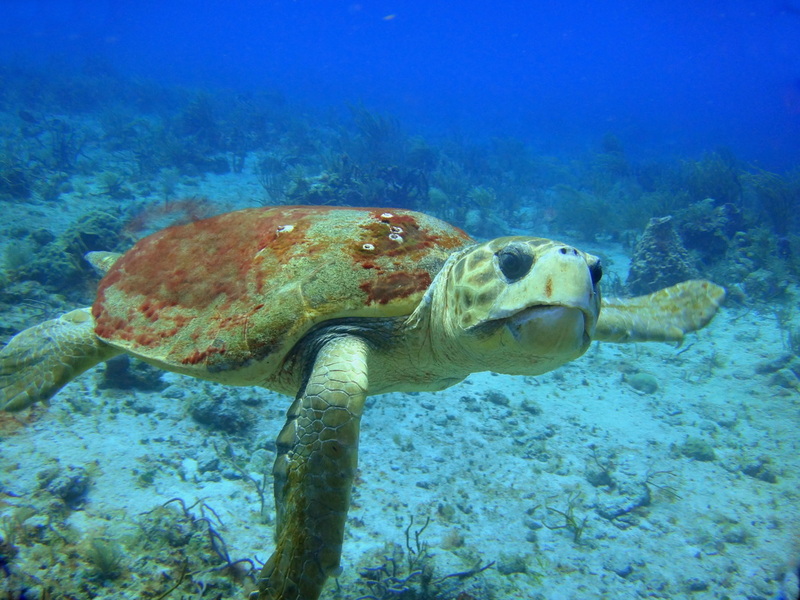 A Loggerhead turtle who is in the area in search of the local "girls". 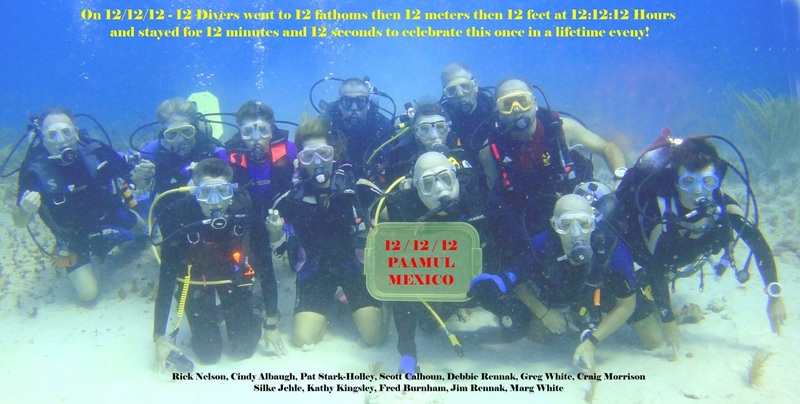 On 11/11/11 - 11 divers dive to 11 feet 11 inches for 11 minutes to carry on a tradition. 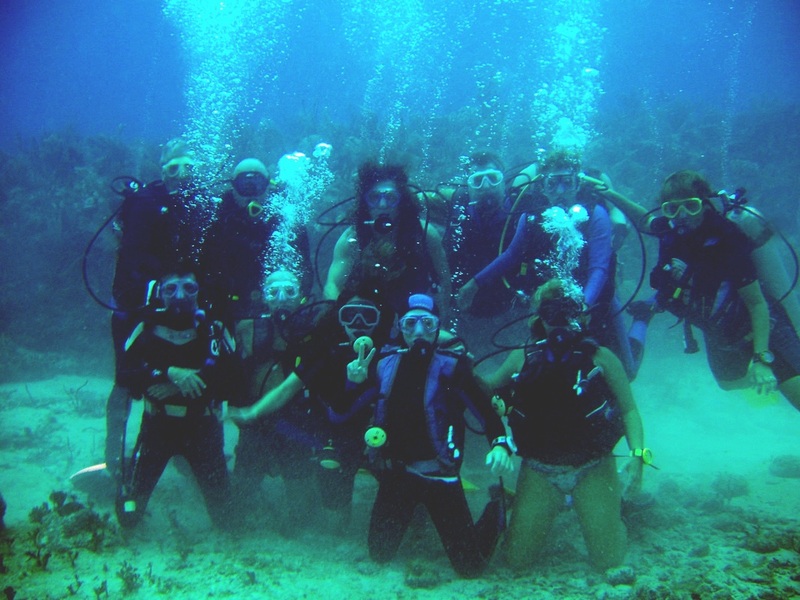 Just wait 'till 12/12/12 ! 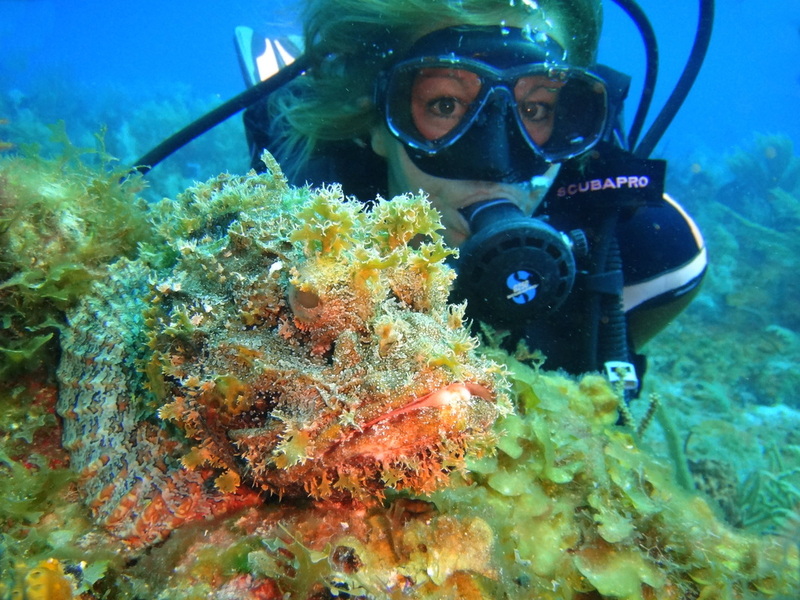 Silke Jehle photographing a yellow "Seahorse"
Niki Therrien with a treasure from the deep. 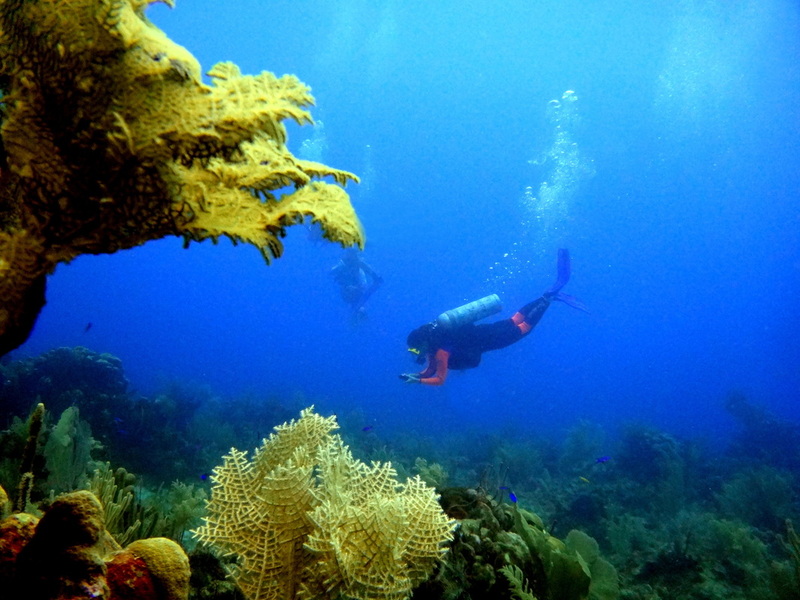 Two Resort divers (with their instructors) find out how much they have been missing. 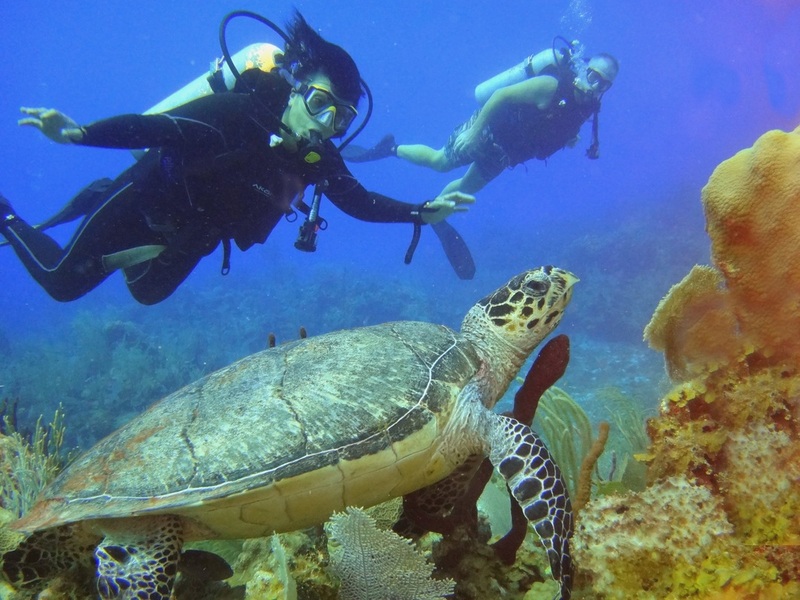 One of our many international divers, Marlene Chamonard, makes friends with a turtle. 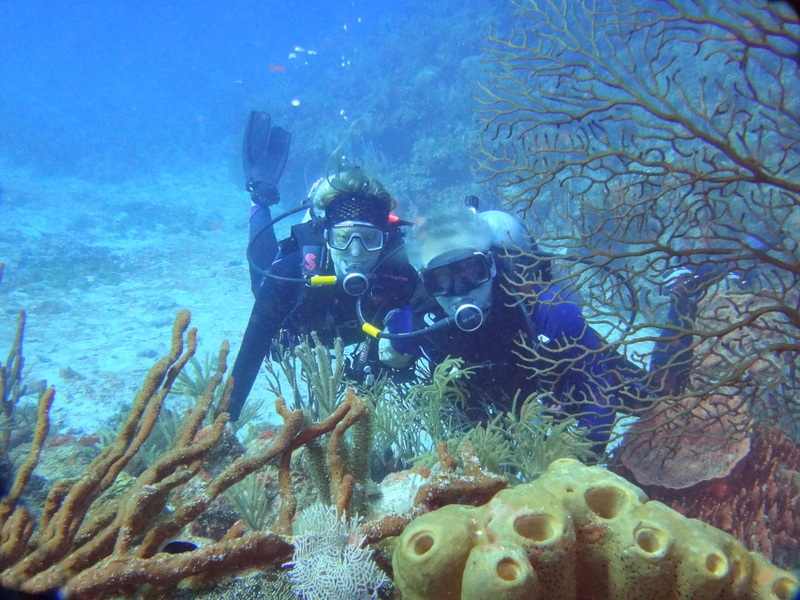 Erin and Barrett Thomas enjoying their dives. 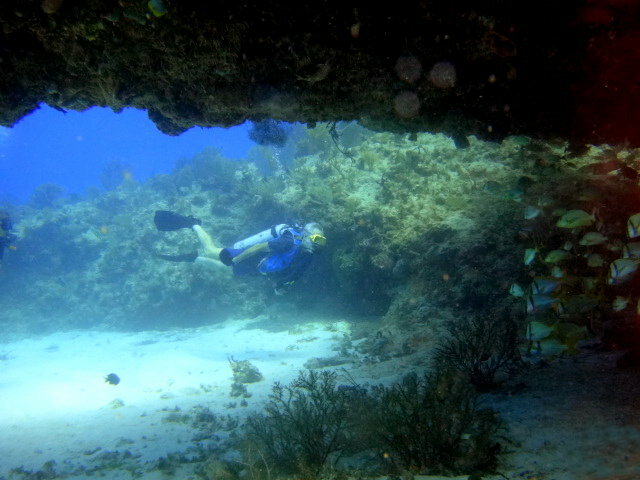 One of our Instructors, Glenda Gabriel enjoying a relaxing dive. 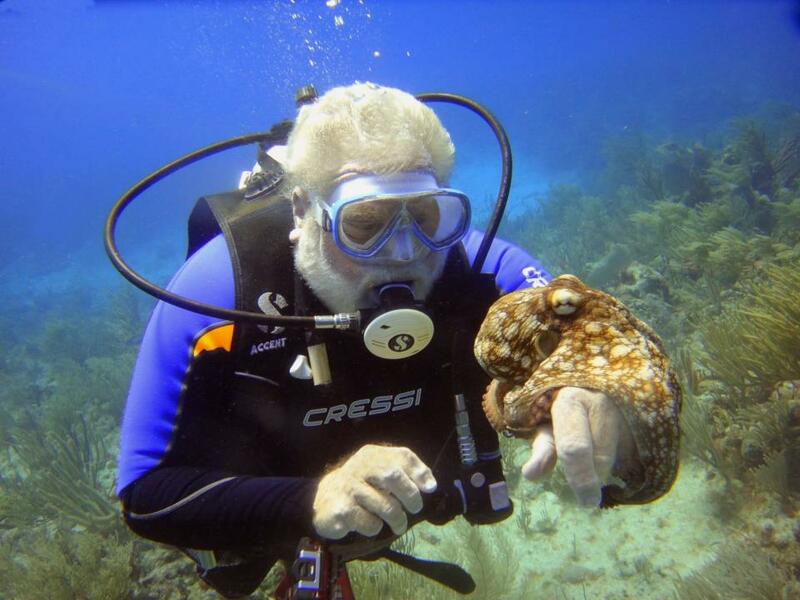 Robin Tate visits with one of our friendly octopus. 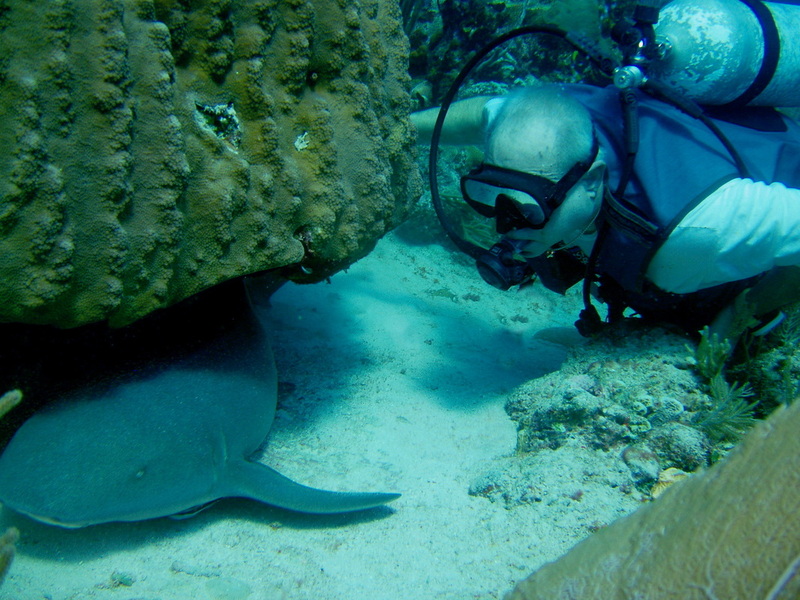 John is playing with one of his friends from the Paamul Shallow Wall dive. 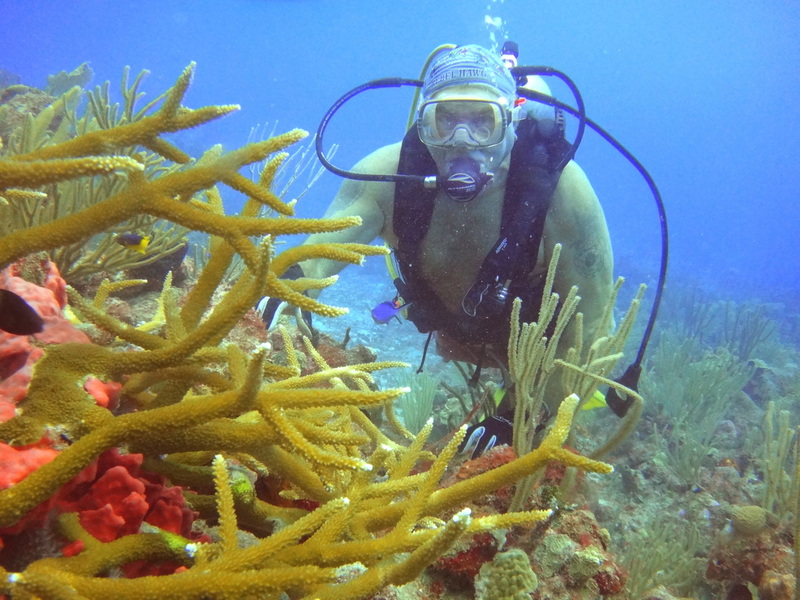 Gary Cohen swims with one of our local "pets". 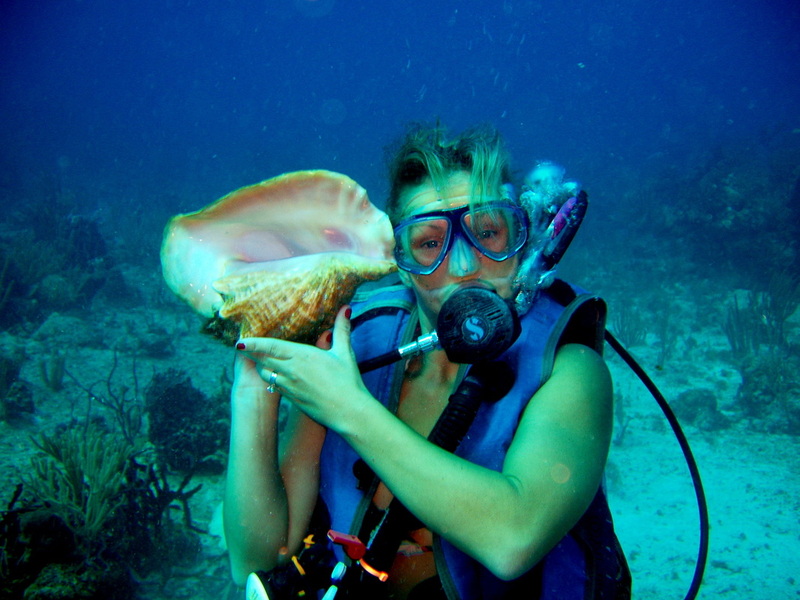 Cindy Ballard with a new friend who came out to visit with her. 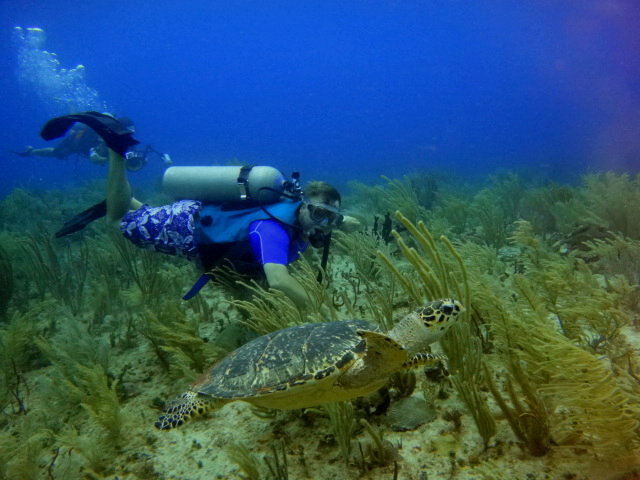 Cindy Albaugh and one of our yearly guest Loggerhead turtles who came down here to meet our girl turtles. 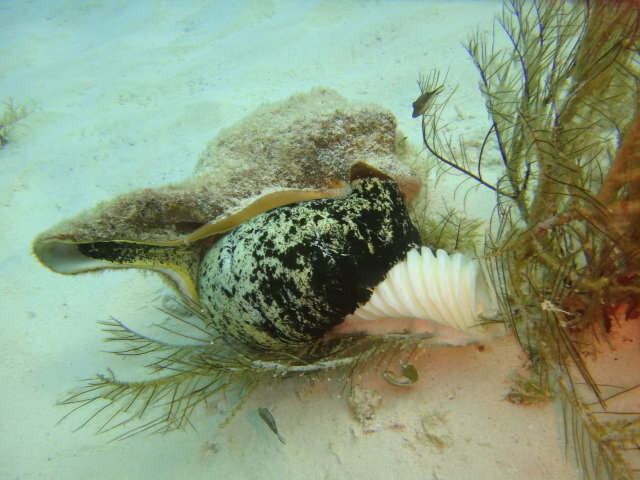 A West Indian Chank Conch lays her eggs and secures them to a coral branch to "incubate". 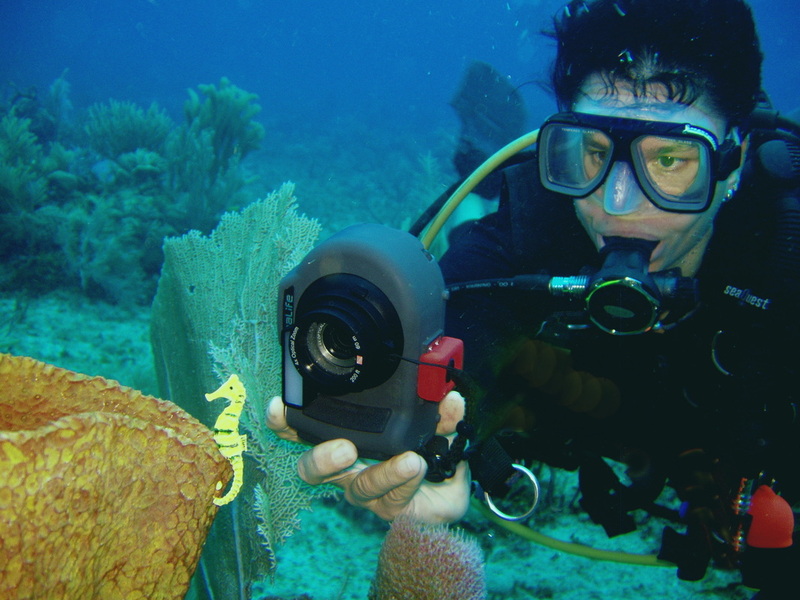 Kathy Kingsley photographing an egg case from a West Indian Chank Conch. 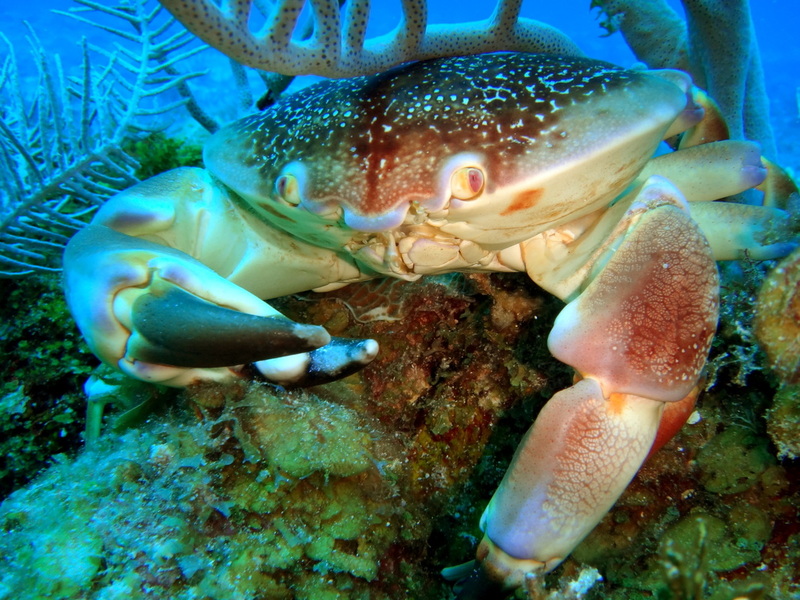 Danette Calhoun displays the gentle Bat-wing crab. 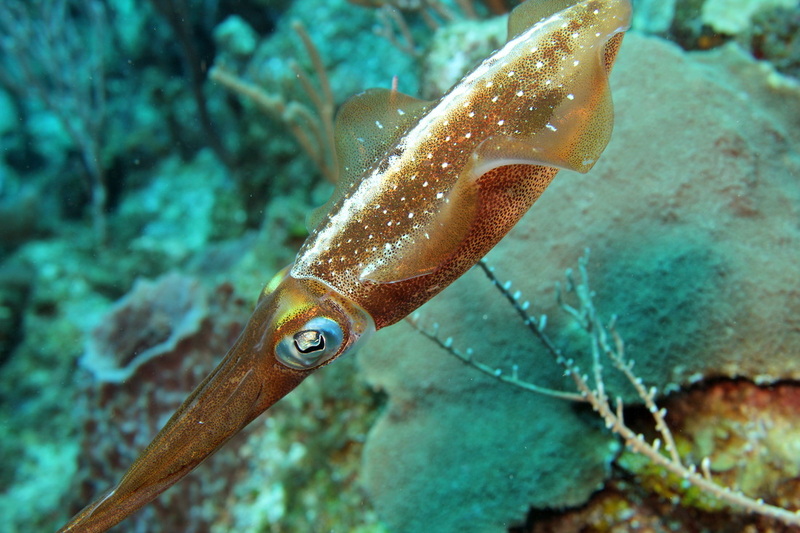 Notice the BATMAN design on his shell. 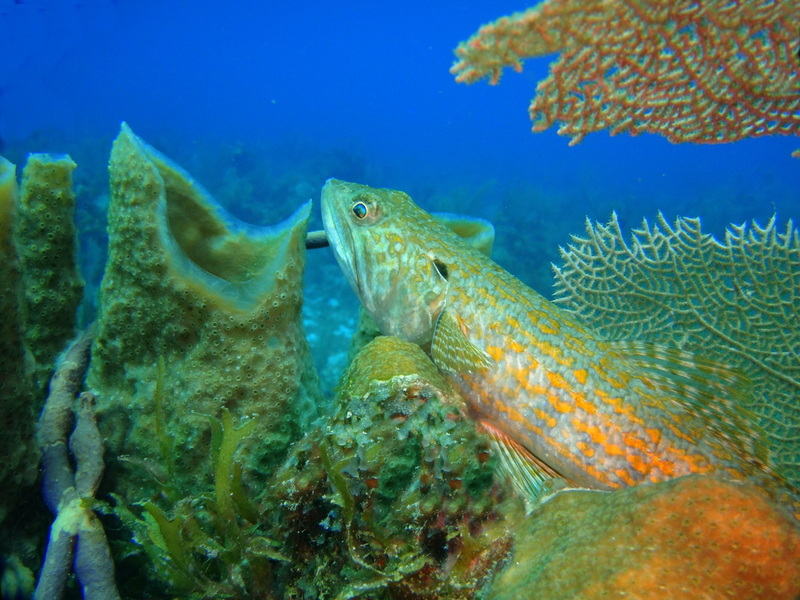 A large Parrotfish swims by to keep an eye on us. 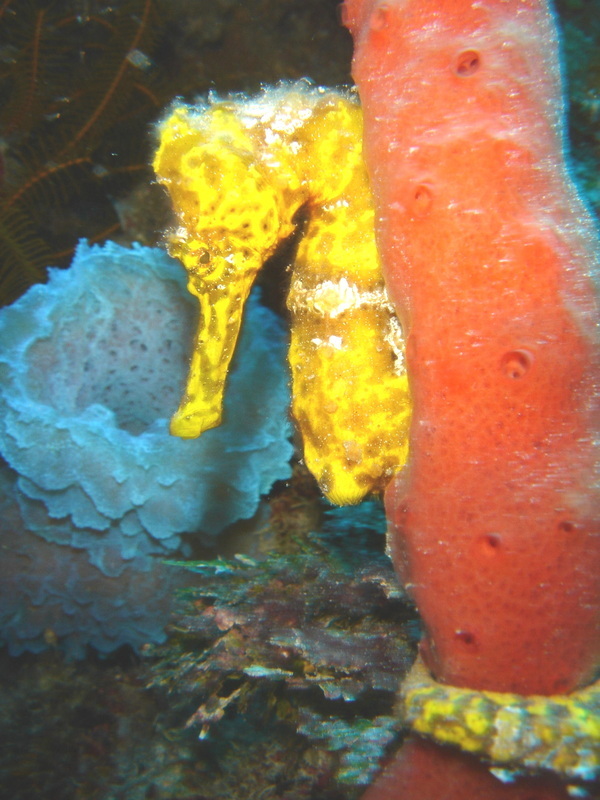 A Seahorse hiding among the coral stems. 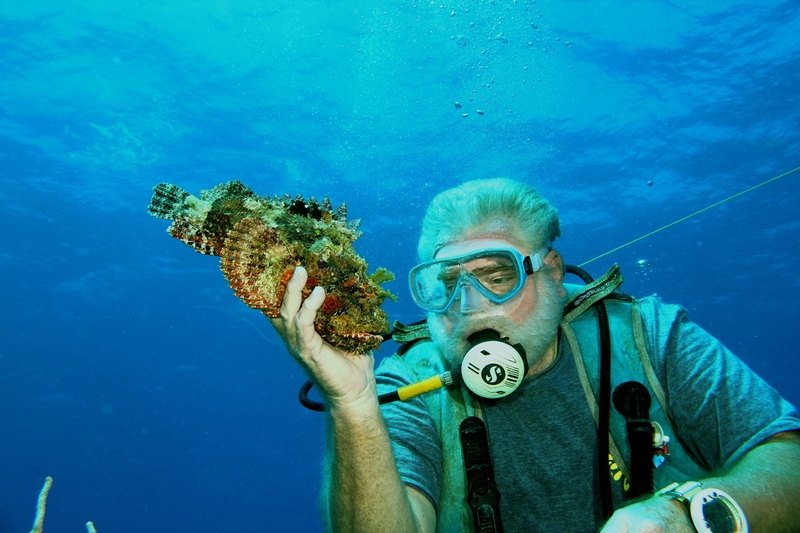 John Everett GENTLY holding a very relaxed Scorpionfish! 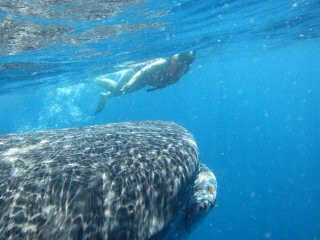 Diving with the largest fish in the world...The Whale Shark. 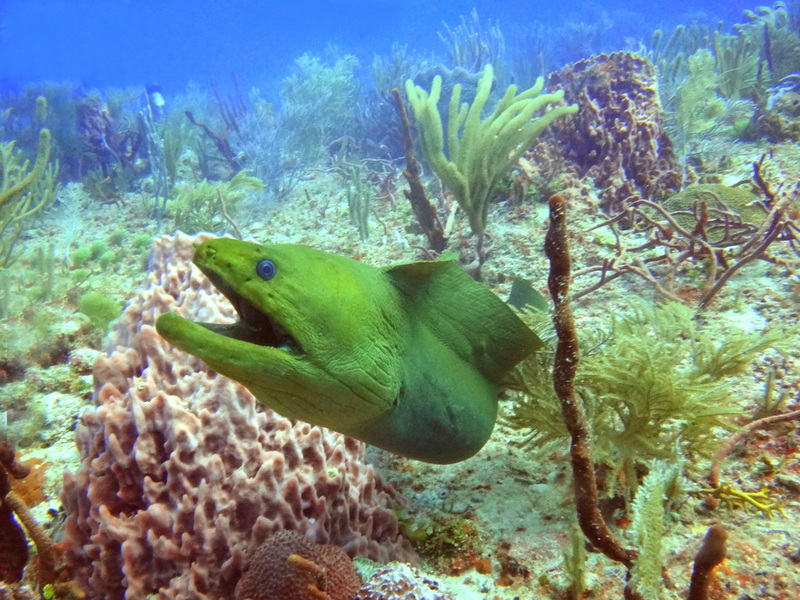 Playing around with a friendly Remora.